Lily wasn’t even a teenager when her ‘uncle’ started abusing her. It took her two years, but she did find a way of stopping him once and for all and all on her own. She also made quite a nest egg from it into the bargain, but the memory never went away. But then, it never does, does it ? Lily moved away from the village where everyone knew her history and went to Bangkok as a medical student using the money she had made to pay for her tuition. After a month, Lily, the country girl from Isaan, Eastern Thailand, realised that the ‘fortune’ that she had would not be enough, so she took drastic measures to ensure that she could stay in university. The measures were every mother’s nightmare, except for Lily’s, because she was still traumatised by what had happened in Lily’s childhood. However, Lily did not know that, she thought that her parents just didn’t care. 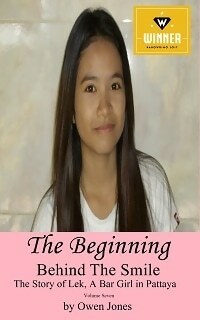 The consequences of the events in Lily’s life sent shock waves through Bangkok society and ultimately death. Death for many people and all of them men. ‘White Lily of Bangkok’ is my entry into the NaNoWriMo (National Novel Writing Month) annual event in which people are encouraged to write a 50,000-word novel during the month of November. This is an international event, with over 250,000 entrants. Writing 50,000 words in a month is achievable with an out put of only 1,700 words a day. The book does not have to be published or even formatted in November, so if you want to join, just search for their website and start. It is free and there a a lot of support for those who need it.